Strolling up to Wednesbury centre to buy eggs is a weekly occurrence for me - I bake and cook often, but I never seem to have enough eggs. 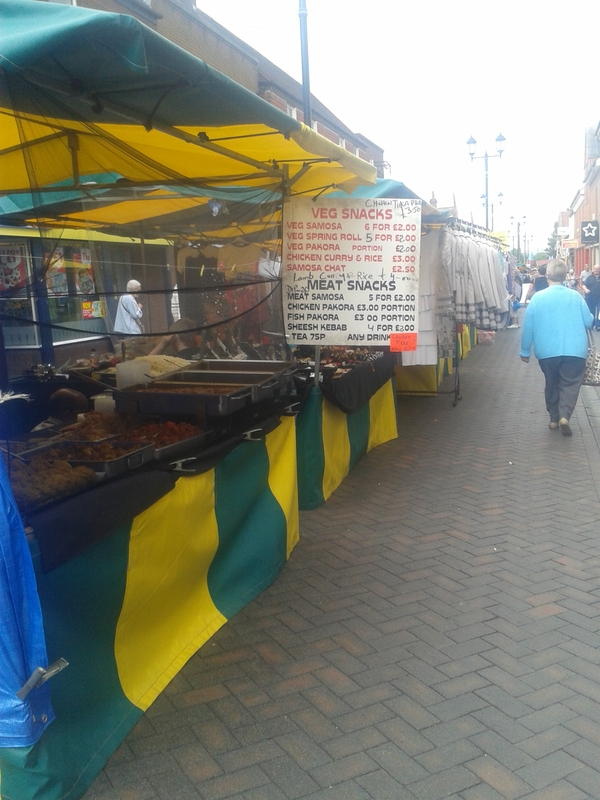 As I walked up to the High Street, I found the unexpected appearance of stalls and market traders. I never knew this existed, and could hear the charming twang of cockney slang being thrown about in an attempt to attract locals. It wasn't just the sudden change of accent, however that caught my attention. The goods on show vary from sausages to carpet, jewellery to clothing for babies, and water guns to flavoured shisha. At the particular shisha stall, the men behind the table were happy with me fiddling with the shisha pipes, various flavours and lighters - I don't smoke, I'm just a bit nosy. Even though I walked away they didn't hassle or try and claw back my potential custom. Most of the traders were of a similar disposition: relaxed. 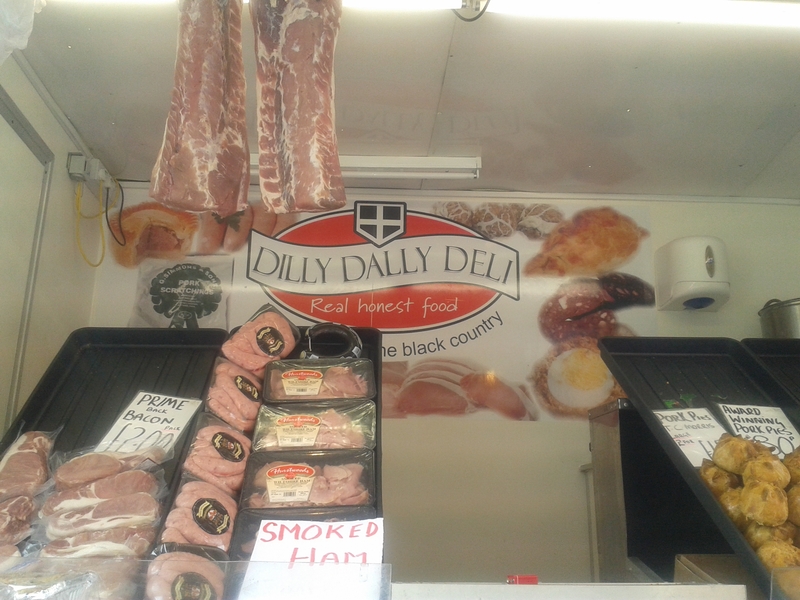 That was until I had a mooch of the butcher van Dilly Dally Deli. The Cockney natives were in full flow as I walked past, and unsurprisingly, Tony - owner - was full of charm as he tried to sell me a few pies. I declined (I'm not a huge pie fan), but they were incredible cheap. 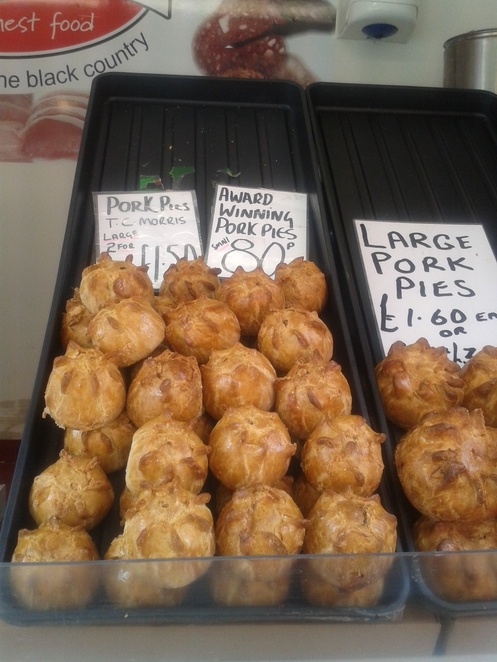 Granted, markets are where you find cheaper goods, but at Dilly Dally Deli they were selling some pies for 50p. I was dubious about the price and quality, but they assured me (as did the names on the packaging), they were from local, Black Country-based, butchers. I ended up being given a chicken pie for free. The Laksmi Indian food stall surprised me the most. 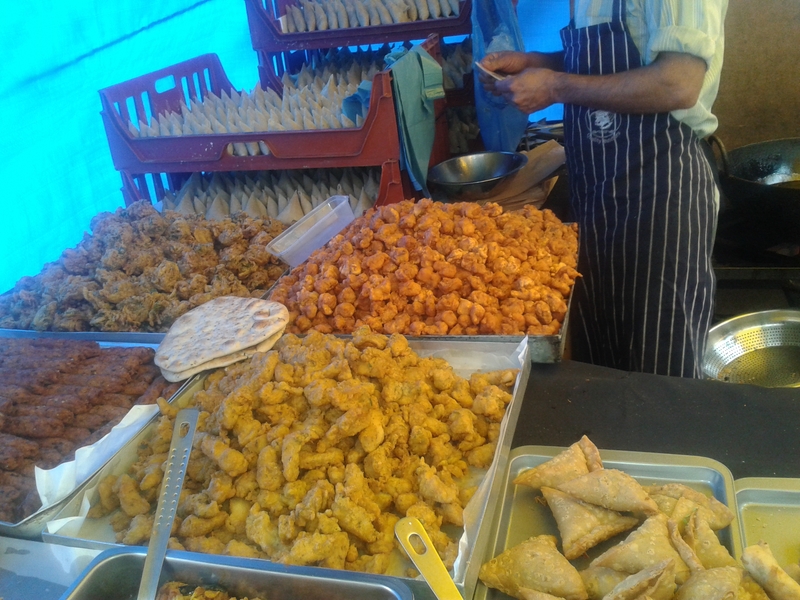 Considering it was nearing 10am I was impressed by their efforts; piled up high were vegetable and chicken samosas, onion bhajis, and tandoori chicken bites. The flavours smelt incredible, and although it was a few hours until lunchtime I knew I could make space for a bit of naan. As I perused the other stalls, I discovered the goods on offer were pretty good. 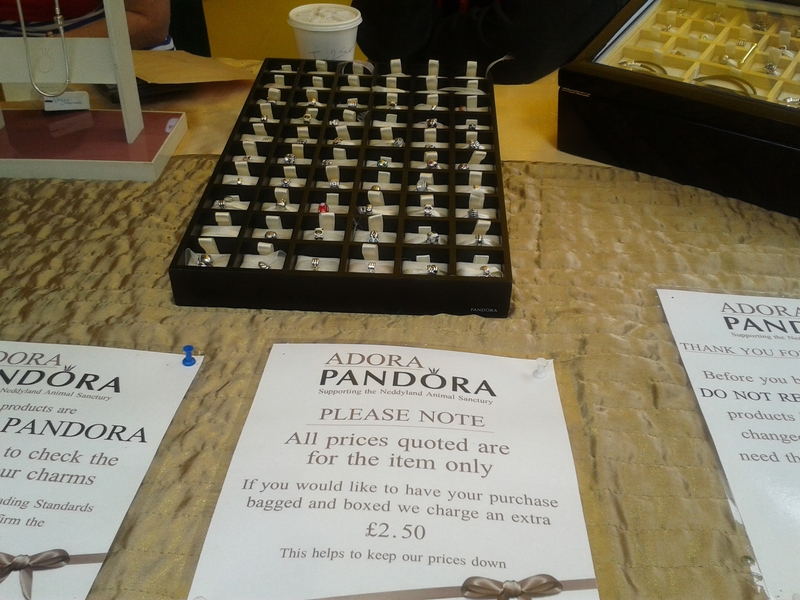 Pandora jewellery charms, Mini Boden and Marks and Spencer clothes were hung by other market traders. It was quite surprising that such goods were available at a market, let alone in Wednesbury. Admittedly the charms weren't to my taste, but the clothing looked impeccable. The market seemed to appeal to every shopper - even home ware such as porcelain figurines, baths mats and toilet covers were on sale. While I probably won't be visiting the market every week, the Thursday market seems to be a permanent fixture, and there isn't nothing wrong with a bargain, especially when it's sold to you by confident, happy traders, who like to call you 'darlin'.